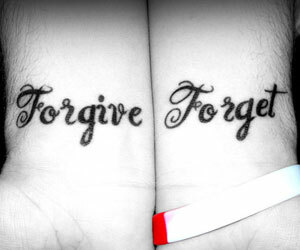 I turned 43 this year and I have always been told I need to “forgive and forget.” It’s a remarkable phrase, is it not? The idea behind this phrase subtly suggests that we should feel okay about the person and it is possible to really mentally forget what the person did to us. The word order is important in this phrase. If we practice forgiveness, eventually, we will forget what happened. We will forget the pain and the hurt heaped upon us by someone else’s actions. Do we have the order wrong? Is it really that we must forget so that forgiveness is complete?